This page explains the rules of Audience Engagement at A' Design Awards. 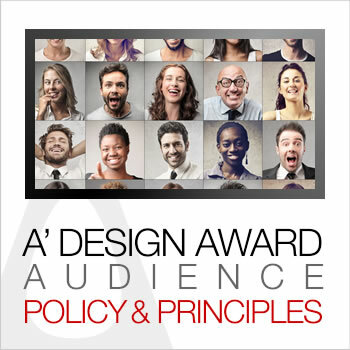 A' Design Award and Competition has created this Audience Engagement Policy to create a positive experience when engaging with our audience, this policy especially covers what we expect our staff to do in less then ideal situations, such as complaints, errors, mistakes. First of all, we ask our staff to follow the politeness policy when communicating with our audience, let them be clients, consumers, press members or any others. The most important thing is to understand the audience and their needs. We want our staff to ask questions in a caring and concerned manner, to listen carefully to what the customer has to say, and let them finish, understand the situation deeply. Our staff should put themselves in the place of the customer, put themselves in their shoes, identify with the customer's point of view, acknowledge how they are feeling. The understanding must be both logical as well as emotional, empathy and altruistic behavior is required. Understanding is the keystone of customer engagement, before replying, we need our staff to get all the facts first , we want our staff to let the customer give us all of the information helps us to fully understand the situation. If customer has send a written communication, read it in its entirety, never skim sections and ensure you understand completely before replying, in some cases you might not be able to understand due to language barriers or miscommunication, ask questions before replying if so. Likewise if you are engaging in real time communication, let the audience fully express themselves. Only once you understand the communication, try to respond as fast as possible. When everything is OK, for example you receive a thank you letter or any other communication, try to be proactive and reply even statements if possible. When replying, start with a thank you. Thank the audience for their time. When replying to the communication, make your answers brief and easy to understand. When there are request for new services or benefits, these shall be noted, replying to needs of the audience is a major way to innovate and improve our value proposition, so if the audience is asking for a new type of service or something new from us that we would normally not provide, instead of saying that we do not provide this service, product or method, you shall absolutely pass the request of the audience to upper level management; for example a press member could have a specific need of information, a customer might wish for an additional service that is not being provided but could perhaps be feasible, pass any and all these insights to one level up in your communication chain to ensure that we keep innovating by developing new services, products and projects that respond to these new needs. You must have a really good understanding of the situation, before any reaction or action gather as much information about the situation as possible by asking questions and requesting clarification if needed. Take notes to make sure you are capturing all aspects of the issue in detail. When replying, start with a thank you, thank them because they are pinpointing something wrong, and correcting that wrong could help your institution by increasing audience satisfaction in future. If there is something wrong, offer an apology. Explain why or how the problem happened so that the audience could also try to understand you. Even when the audience is being unreasonable, apologize outright and ask how you might help resolve the issue, remember that the audience can get emotional. Express regret and respond to a customer complaint promptly and with due attention to convey the message that you take these issues seriously. Ask questions regarding the issue, and treat them with genuine respect. When the issue is solved, finish with how else can I help you? Please let me know if you need any help in future. When engaging remember to make your replies short and precise to the point, if you write longer whatever you say could be used against you. Remain calm and avoid engaging in an argument with your audience. Remember that the audience have brought an issue to your attention, that gives you a chance to reflect and improve your service, use this wisely and take time to reflect on the matter and adopt a helpful and objective approach to solve any issues. Take complaints seriously and do not delete or ignore complaint communications. If you can't do something, don't promise that you will. Try to solve the problem, or find someone who can solve it as quick as possible, if the solution would take time, let the audience know that they would get a response but later. Only commit to offering realistic solutions to the customer's problem, carry the issue one step higher in your chain if you cannot solve it yourself. When there are issues, the correct thing to do is to eliminate the source of the problem instead of creating canned responses to issues that should not be there at the first place. This is perhaps the most important aspect of engaging the audience, when engaging the audience, always consider that the audience is taking their time to report it and it is not a threat but an opportunity for us to improve our services, products and offerings by correcting the mistake. 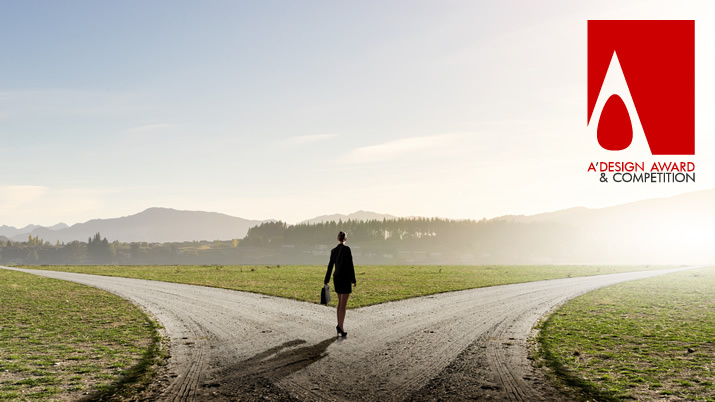 For any issue, instead of offering something free of a quick and dirty fix, we must absolutely correct the mistake that causes the issue, when there are issues or mistakes, always carry this one step higher and ensure a correction process is started. Remember that not fixing the original issue can lead to more complaints about the same thing in the future since the problem wouldn't been fixed. The job definition of support team is not about supporting but minimizing the reasons for complaints, we shall seek for continuous improvement, making the services, products and offerings better with each issue fixed. We aim for the highest quality and standards, and thus we shall learn from every complaint and we need to do something about them, we need to fix the processes, algorithms or communication that leads to any complaints. The A' Design Award and Competition gives great importance to your feedback, ideas and testimonials, please let us know your opinions and needs.